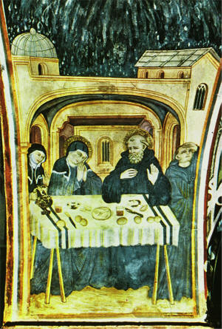 More than 1500 years ago, a man of God, Benedict, and his twin sister Scholastica established monasteries where people could work and pray together on their journey to God. 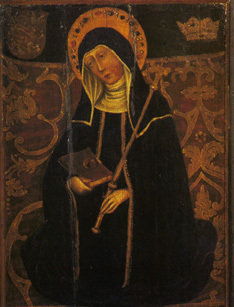 Benedict wrote a practical and wise Gospel-based Rule which outlined practices of the spiritual life and principles for wholesome, balanced living. Followed by monastic communities throughout the world, the Rule of Benedict emphasizes values such as prayer, moderation, stewardship, community, hospitality, mutual respect and peace – values vital to overcoming the violence and turmoil in our society today. The Sixteenth through the Nineteenth centuries saw first a great diminishment and then a revival of European monasteries. 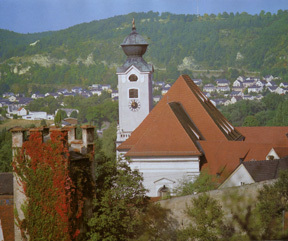 After many wars and the Protestant Reformation, which caused the destruction or dissolution of monastic and other religious communities, a more peaceful time and supportive monarchs encouraged the rebuilding of Benedictine monasteries, such as St. Walburga’s Abbey in Eichstatt, Bavaria. From the renewed Benedictine monasteries of women and men, Sisters and monks were called to go to minister to their country folk who had moved to the “New World.” Once again monastics became missionaries. In 1852, Abbot Boniface Wimmer energetically promoted missions to provide religious education and ministry to German-speaking immigrants, and urged the Sisters of St. Walburga’s to send Sisters to the United States to begin schools for children. Sister Benedicta Riepp and two companions courageously set out to begin the first women’s Benedictine monastery in St. Mary’s, Pennsylvania. The Sisters endured great hardships due to lack of funds, poor housing and scarcity of food. Yet their missions took root, and many young women quickly filled six communities of Sisters, which in turn spread throughout the United States and the world. In the short span of eleven years – from the age of 27 at the time her arrival until her death at 38— Sister Benedicta, with prophetic vision and undaunted faith, rooted a sapling that has flourished into a fruitful tree. 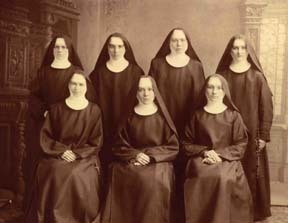 In 1878 five Sisters from St. Benedict’s, St. Joseph, Minnesota, arrived in Bismarck to open St. Mary’s Academy and Boarding School. Classes began immediately with 21 boarders and 80 students crammed into three small classrooms. 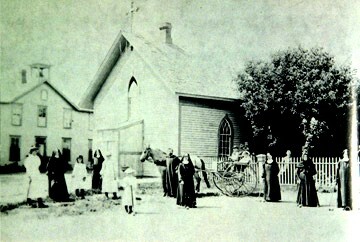 Before long, the Academy extended to the high school level, a new brick parish church and school were built, and more Sisters were sent to begin grade schools in both the larger and smaller towns of western North Dakota. In their earliest days, several of these also were boarding schools to allow distant farm families the opportunity of Catholic education for their children. Music teachers provided both school and private lessons; their school programs and private recitals brought a touch of culture to the prairies. 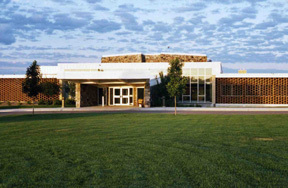 The Sisters also ministered to the church of North Dakota by undertaking the training of altar servers, doing the parish sacristy work, and teaching weekend and summer religion classes for children unable to attend Catholic schools. In the early 1880s, the Sisters and the people of the prairie recognized the need for healthcare, since there were no hospitals west of the Mississippi. In 1885 seven more Sisters from St. Benedict’s came to begin the first hospital in Dakota Territory. 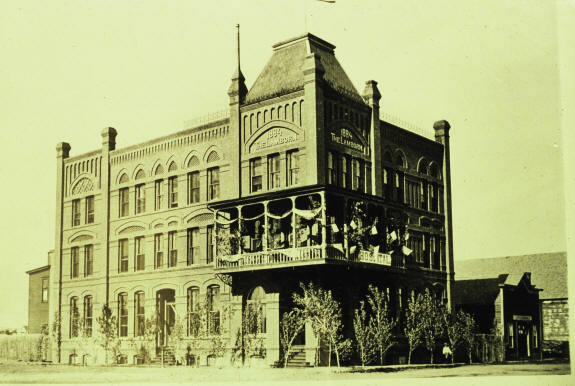 It was started in the Lamborn Hotel, a three-story building with narrow staircases and no elevator. Although at the start the Sisters were untrained in healthcare, they treated 65 patients the first year, with Chief Sitting Bull, Teddy Roosevelt and Medora de Mores among the more illustrious patients. Vagrants, riverboat ruffians and train robbers were among the more notorious. The fee per day was one dollar. In 1911 a new St. Alexius Hospital was constructed at its present site. 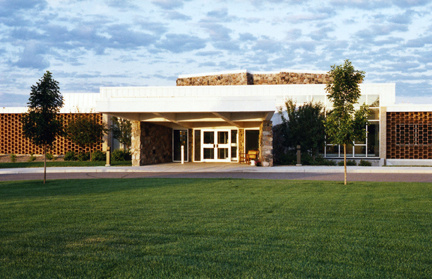 Other health care ministry was developed in the founding of two nursing homes in Dickinson and several small community hospitals in western North Dakota. 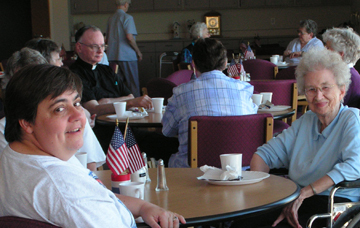 Today, one nursing home, St. Benedict’s, continues under Benedictine Health Systems; three hospitals continue under the administration of local civic communities; and the Garrison Memorial Hospital, with an added extended care facility, flourishes under the continued sponsorship of Annunciation Monastery. Founding sisters of the first hospital in Dakota Territory, St. Alexius. By the 1940s over 100 Minnesota Sisters were ministering to the church of western North Dakota. 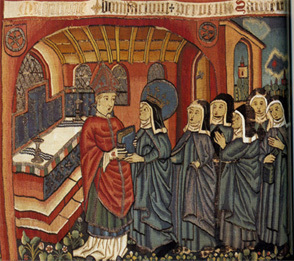 It was evident that an independent foundation of Benedictine women was needed in the Bismarck Diocese so that Catholic education and healthcare would continue into the future. Stability in a localized place would also assure the Sisters of closer monastic community life and greater participation in community concerns. 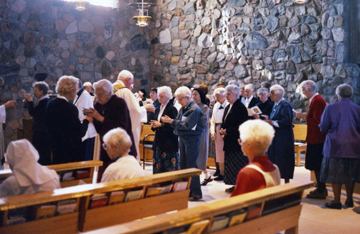 In 1944, 140 Sisters from St. Benedict’s volunteered to begin a new monastic community, Convent of the Annunciation, eventually called Annunciation Priory (1947-1958) and Annunciation Monastery (since 1997), in Bismarck. It received papal approval and full independence in March, 1947. 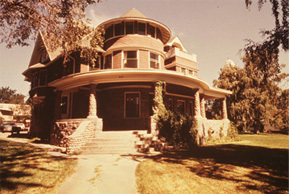 The first monastic Motherhouse was borrowed from the diocese and located in a former mansion, now a historic landmark of the city. 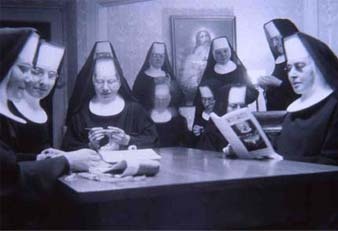 A wonderful influx of new members soon had the Motherhouse quite overcrowded. In the early 1950’s the Sisters of Annunciation Priory contacted the renowned architect, Marcel Breuer, to design a Motherhouse for the community. 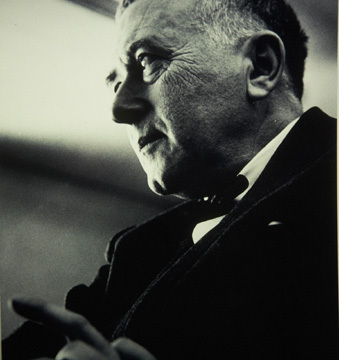 Breuer was well-known for the UNESCO building in Paris, the Whitney Museum in New York and he was in the final stages of building a new Abbey and several university buildings for the men’s Benedictine monastery of St. John’s, Collegeville, Minnesota. Using sunlight and shadow to create distinctive patterns and views for both the interior and exterior spaces, Breuer created spaces in brick walls, creatively designed recessed ceilings, windows and slatted beams to produce variations in shadows. 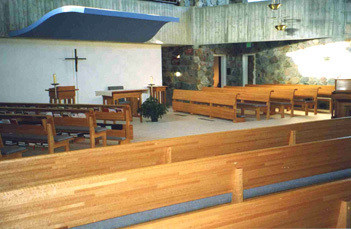 Breuer studied the Rule of Benedict for the St. John's project and was well prepared to incorporate its spirit and values in our monastic home: peace, simplicity, community, hospitality and harmony with nature. 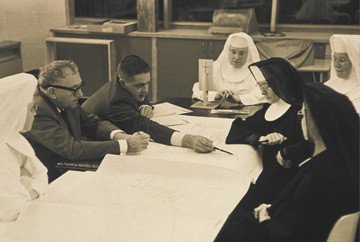 When Breuer met with the Sisters, discussions included his design to reflect the Benedictine values of permanence and stability. The new home for the Sisters embraced both the community and its new girl’s academy, Annunciation Priory High School. 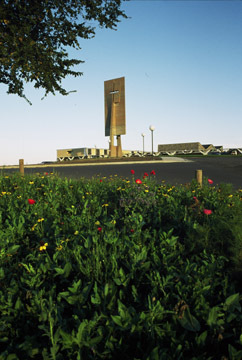 With the bell banner rising above the plain to proclaim hours of prayer and spaces filled with the work of learning, Breuer referred to this favorite of his works as the “jewel on the prairie.” His ability to capture the Benedictine spirit in form and flexible function made him the community’s choice for another big project: a home for the community’s other new mission in higher education: Mary College, begun in 1958. The bell banner is the landmark and symbol of the Benedictine Sisters of Annunciation Monastery. This hundred-foot structure is a symbol, landmark and belfry. 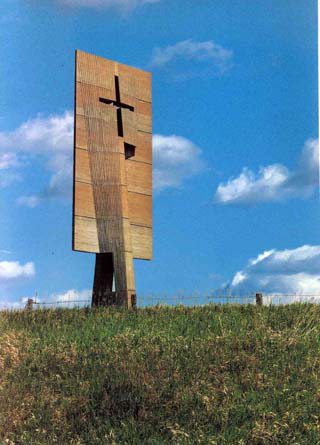 The late architect, Marcel Breuer, wrote: "From afar, the bell tower makes a distinctive silhouette in the otherwise fairly empty landscape, and from nearby marks the approach to the chapel." The windswept cross, hollowed out, as it were, by the Spirit, is a sign of faith, and leads directly to the water (baptismal symbol at the chapel entrance) and to the monumental Eucharistic altar. The bronze bells were cast in Holland and are named Hilary (in honor of Bishop Hilary Hacker, who was Bishop of Bismarck at the time), Joseph (for Monsignor Joseph Raith), and Mary (honoring the Blessed Virgin Mary, the community patron). The bells were consecrated on June 18, 1962. 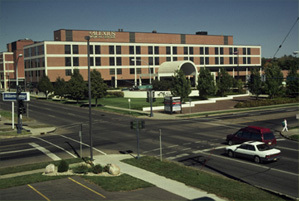 St. Alexius Hospital also expanded, adding several buildings, services, clinics and satellite community hospitals, becoming St. Alexius Medical Center, and now CHI St. Alexius Health. 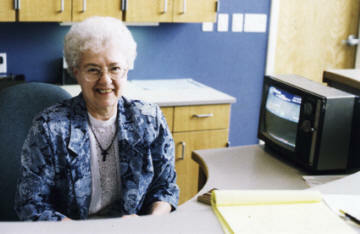 It began a nursing school in 1914, which in time became incorporated into Mary College, and continues as a key program with Master’s degrees at the University of Mary. 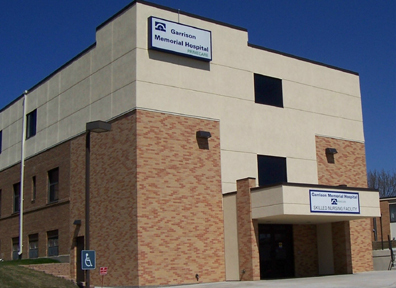 CHI St. Alexius Health extends its ministry by assisting many rural communities with clinics and telemedicine programs, and has assumed leadership for CHI St. Alexius-Garrison. 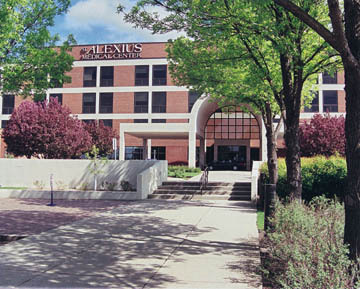 CHI St. Alexius Health has received many national awards and recognition as one of the finest medical facilities in the country. Annunciation Priory’s Sisters responded with faith and spirit to the call of the church for renewal of the original vision of Benedict and adaptation of the monastic life to modern times. 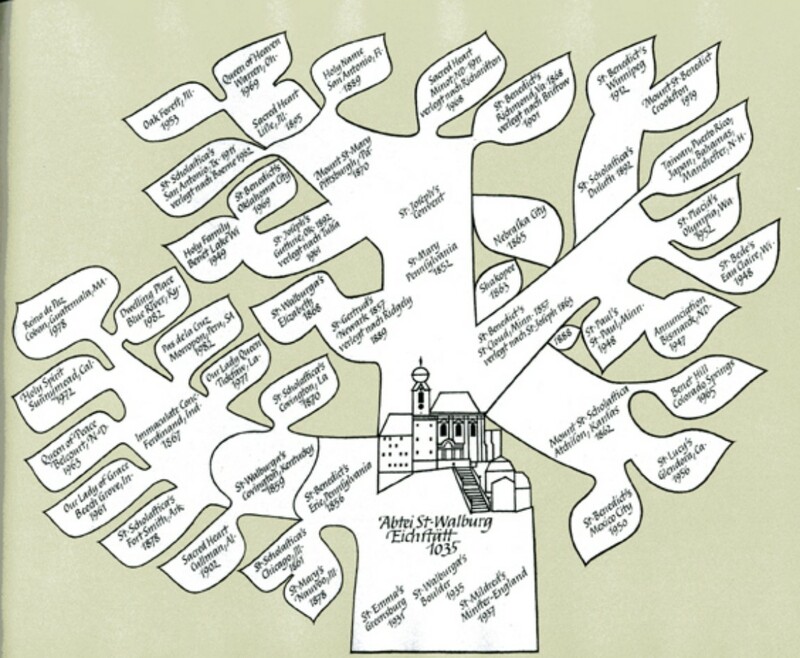 The whole community as well as individual Sister scholars devoted years of study, discussion and implementation of Benedictine monastic values and practices found in the Rule and the lived tradition of centuries. The community has been faithful to its program of “On-going Formation” for forty years. One of the beautiful outcomes of this process is the development of new Liturgy of the Hours (Divine Office) prayer books. These include original music composed by community members, by other women and men monastics, and traditional chant and hymns. 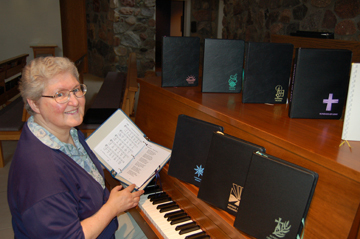 The psalm and hymn texts are written in language inclusive of gender, and the covers are aesthetically pleasing as a complete set. The community also opened new ministrial possibilities for Sisters, including parish ministry, social work, hospice service and hospital chaplaincy, retreat and spiritual direction, leadership in diocesan offices and canon law. Motivated by our commitment to living monastic values today, and by the practicalities of a house grown too large and inconvenient for the needs of aging Sisters, we met our changing needs by constructing a new monastery on the other side of the bell banner. 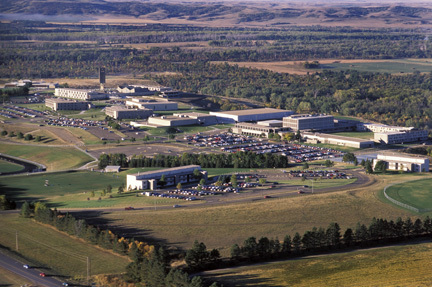 The University of Mary’s growing need for space accommodated our need to find a new use for the original building, now owned by the university. Wherever we live, as monastic women we pray, share meals and make decisions together in community; we offer hospitality and whatever service we can to guests and the people of God in this region, and lift the needs of the church and world to God in daily prayer. This dedication to constant renewal is shown in our reclaiming of “Monastery” as our name.